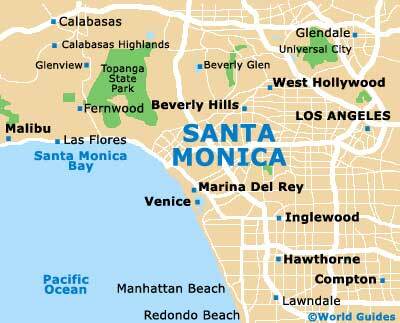 Santa Monica is perpetually atop the most livable US cities list, due to its warm and sunny climate, beautiful beaches, and close proximity to downtown Los Angeles. This ever-popular tourist area has many homes and serviced apartments available for those who plan on spending a few years here, although the cost can be quite expensive. The areas surrounding Santa Monica also offer adequate places to live, particularly to the south in Marina Del Rey, where apartments are plentiful and more affordable. Although traffic in this area of the state has historically been amongst the worst in the US, the ability to live in Santa Monica or Marina Del Rey is one luxury which makes the daily commute to LA worth enduring. The proximity to Beverly Hills, Venice Beach, and other trendy California divisions translates to a high cost of living for Santa Monica residents. Serviced apartments, while readily available, can be very expensive, although the amenities afforded are some of the best the country has to offer. Serviced apartments in the downtown Santa Monica area are abundant. Coastal area development has been prevalent for the past 30 years, providing a range of choices from less expensive older blocks to the costly, state-of-the-art new complexes. If visitors are planning on spending the majority of their time within the city limits, the downtown area affords the most flexibility. A large array of serviced apartments within a 32-km / 20-mile radius of downtown ensures that a suitable home can be found within every price range. Most establishments have typical amenities such as swimming pools, enhanced security, tailoring, cleaning services and, of course, high speed Internet. Buying houses, condos, or apartments in Santa Monica can be a very expensive affair. The real estate in this part of the country has always been of premium value, and even more so in Santa Monica, as over 90 percent of the condos here are more expensive than their equivalents a few miles away in Los Angeles. While housing is usually costly, the benefit of purchasing property here is that it will almost always retain its value, if not increase. Although the past five years has seen many major US cities suffer a decline in property values, Santa Monica has remained relatively static. Real estate in southern California is well served by a large number of estate agents, although finding the right one can be a challenge for those new to the area. The agencies below have experience dealing with newcomers. Westside Rentals specialises in relocation services, as well as finding serviced apartments in southern California. RE / Max is a nationally recognized real estate firm that can help you find the right home in the Santa Monica area. 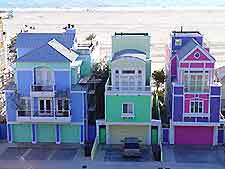 Poptsis is a local company with extensive experience in finding suitable homes for those relocating to Santa Monica.